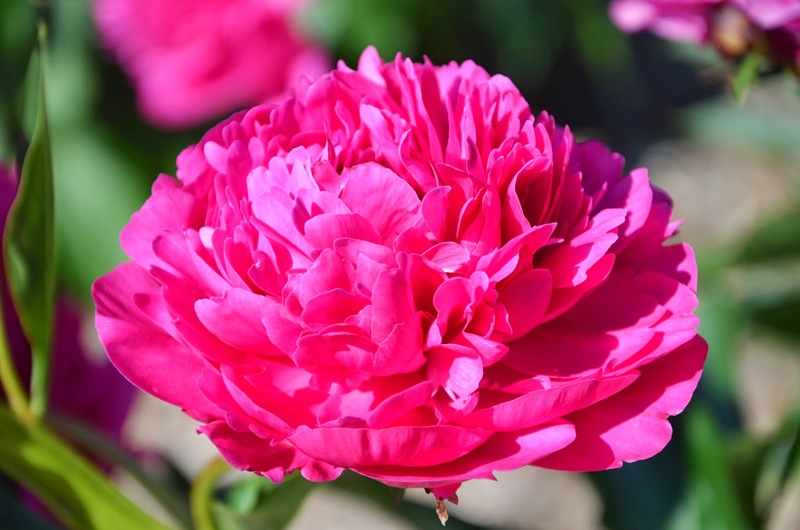 The weather was quite harsh for peonies this week. We had our first 90 degree day since September. 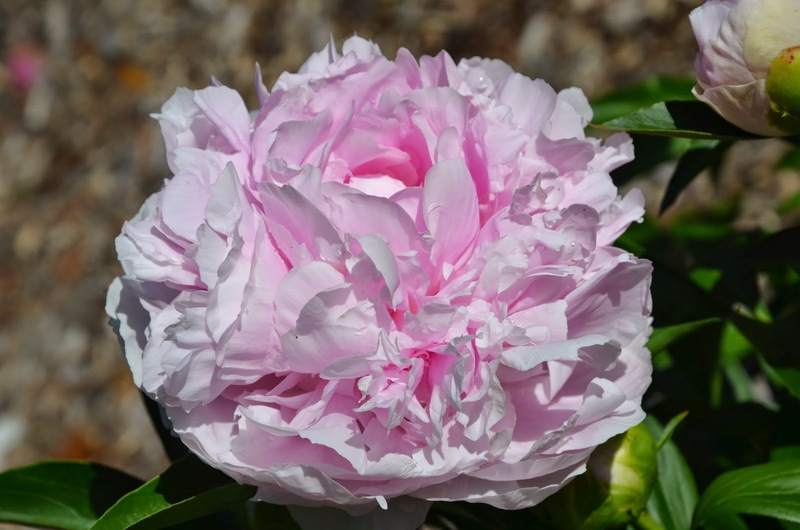 So the peony blooms really started to suffer. It had been a couple weeks since it had last rained, and before that it had been raining about every week. So we really needed the rain. We finally got 2.5 inches on Thursday night. 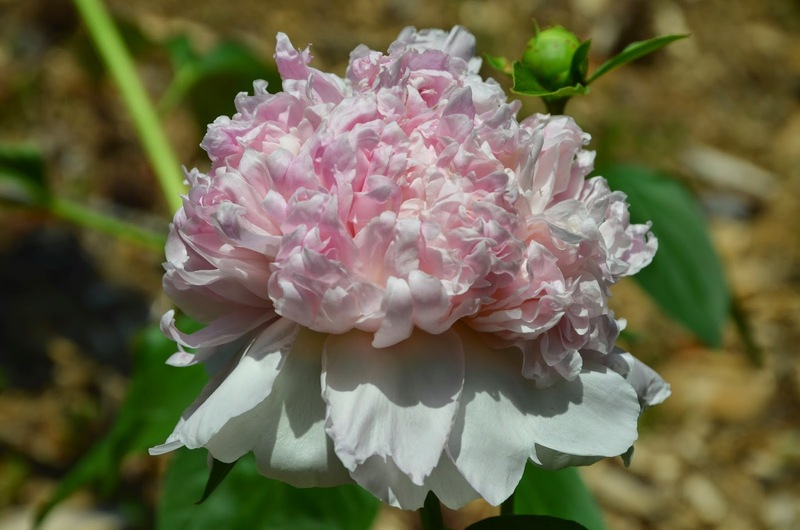 However the rain came all at once pouring down and pushing the heavy double peony blooms to the ground. 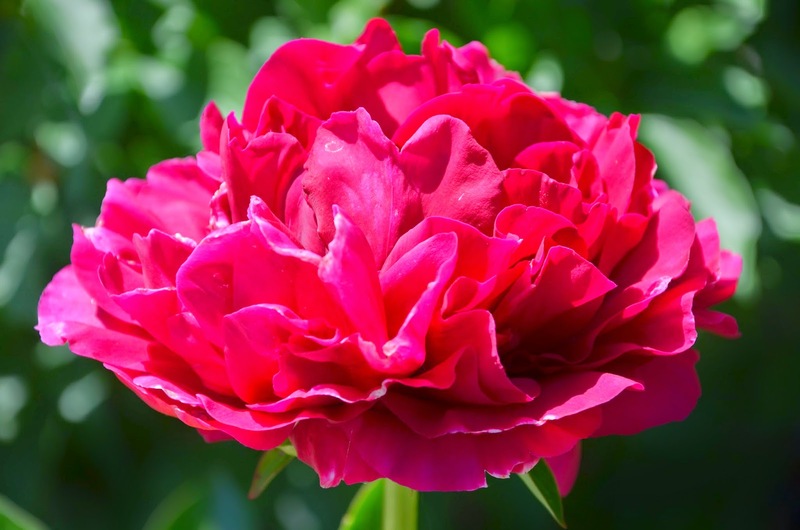 The storm also came with lots of wind to blow around those heavy, rain-laden peony blooms, further damaging their appearance. 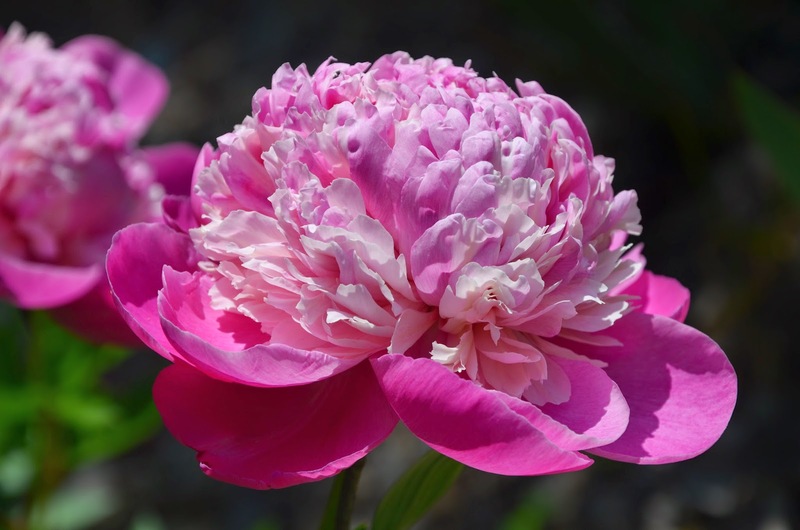 So it was challenging to get some good peony photos this week. However I did manage to get a few before the rain and a couple that opened after the rain was finished. 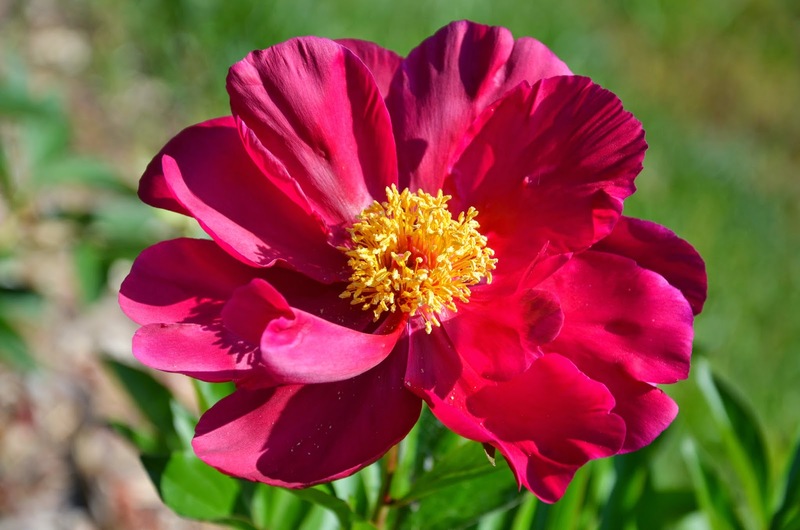 Peony 'Topeka Garnet' first bloomed for me this year, and it was also selected as the APS Gold Medal winner in 2012.